Express your true feelings of love & contentment for your one & only by giving one of these thoughtful Personalized Couple Gifts she will cherish for a life time. 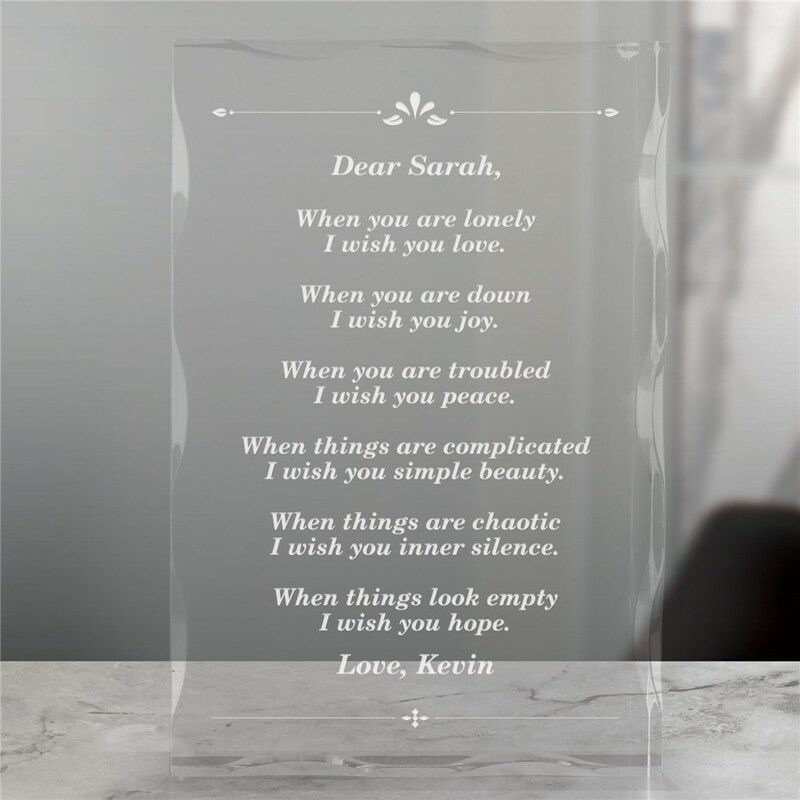 Choose our Poem... My Wish For You and personalize with any name on top and any one line message after the poem or Create Your own Poem for your Personalized Gifts for Couples. I love this keepsake. This says everything I wanted to say but could not put into words.